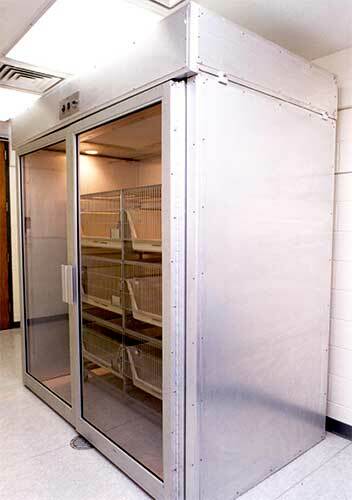 Stainless steel and aluminum isolation and quarantine research cubicles are custom-sized for each client and include standard and optional features. The housing of animals in cubicles for quarantine and isolation has proven to be effective, flexible, economical, and efficient. 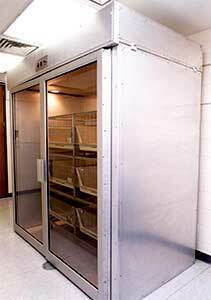 The easy-to-lift or sliding doors units provide maximum protection, durability, and ease of access to the cubicle. 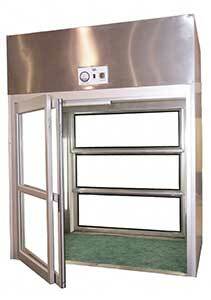 Each installation is custom designed and fabricated to allow maximum width and height of door opening. 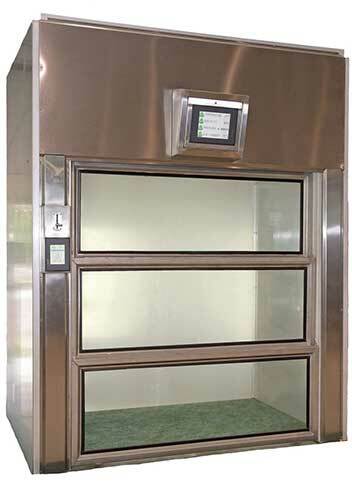 Optional air handling units allow total control of air flow through the cubicle, the maintenance of positive or negative differential pressure and HEPA filtration of supply and/or exhaust air. Optional integral light fixtures provide control to interior light intensity and timing. Interlocking polyethylene seal between the doors shall provide an air barrier when in the :closed: position. The barrier maintains a positive or negative differential pressure between the room and cubicle of 1/20" of water column when providing 15 air changes per hour. 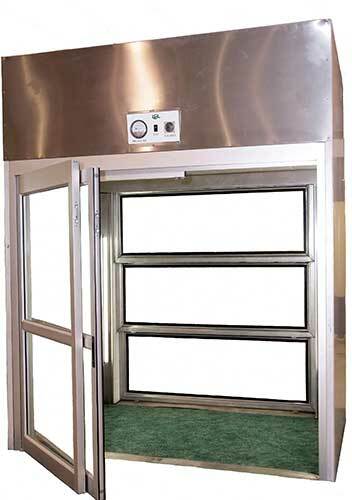 All doors slide into a protective transom cover when in the "open" position. This door assembly constitutes the front of the isolation cubicle system. Two swing/sliding doors with full windows in each. Each door is designed to swing out, then slide along cubicle wall for storage and easy access in the interior of the cubicle. 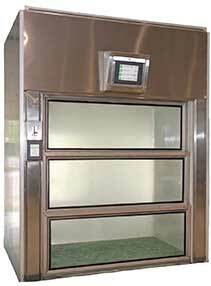 2: x 4: HEPA is used with each system and provides minimum efficiency of 99.99% at 0.micron. Unit has pre-wired junction box. At maximum speed, the unit pushes 720 cubic feet of air per minute and up to 20 air changes per hour.